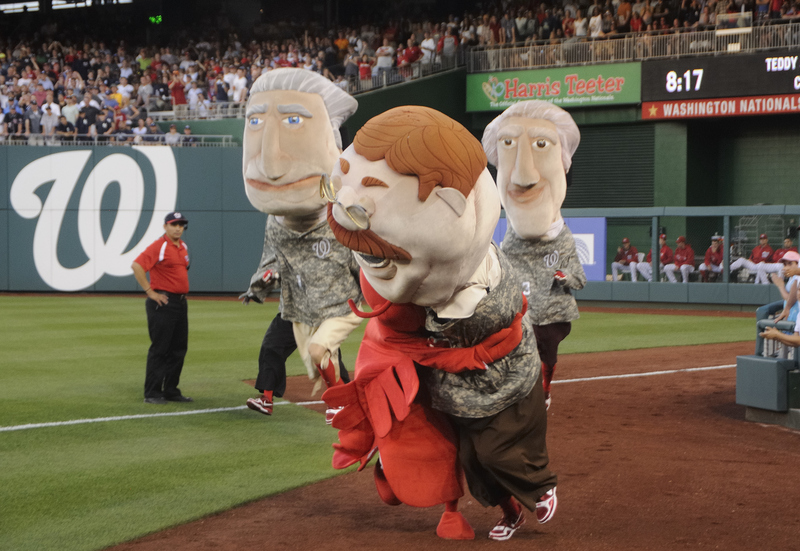 New Nationals Uniforms | Let Teddy Win! 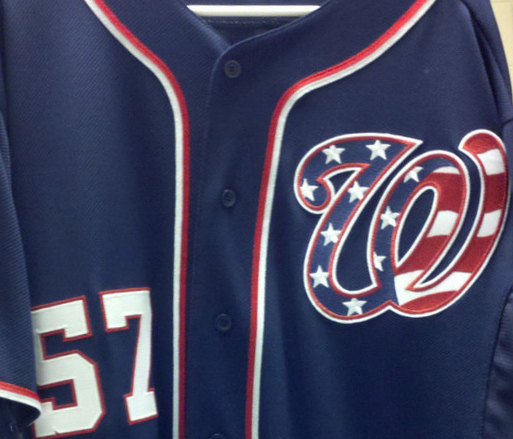 The Washington Nationals observed 9/11 Remembrance Day Sunday throughout the team’s 8-2 win over the Houston Astros. 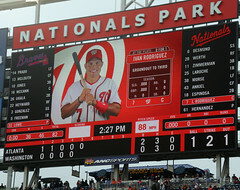 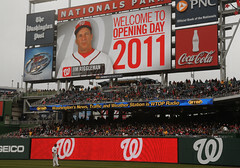 Many of the usual between-inning routines at Nationals Park were replaced by commemorative honors, videos, and tributes. 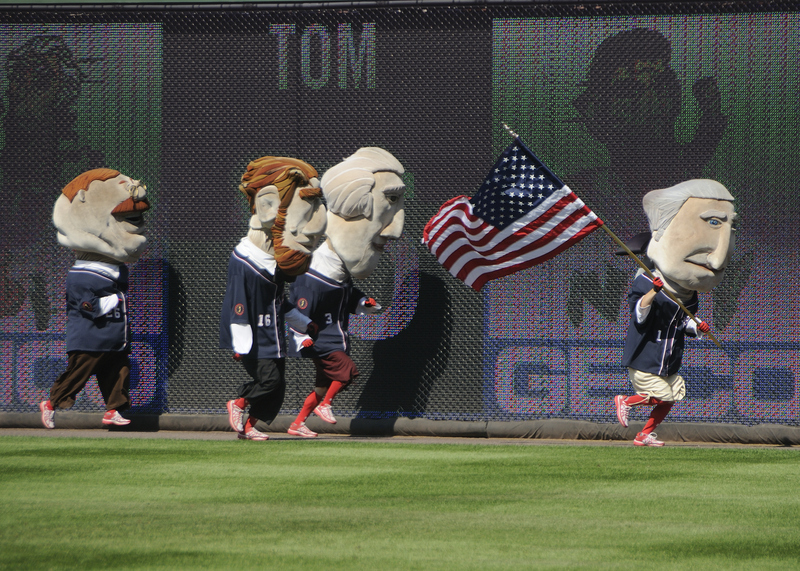 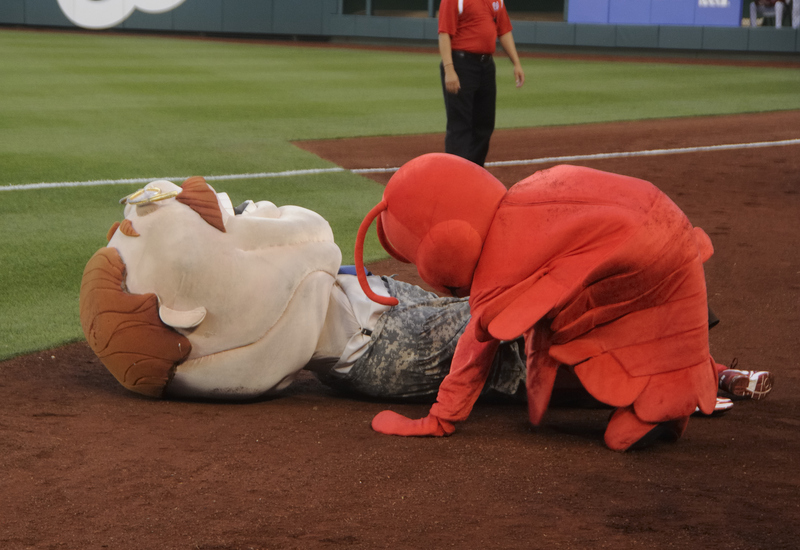 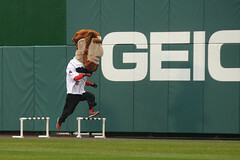 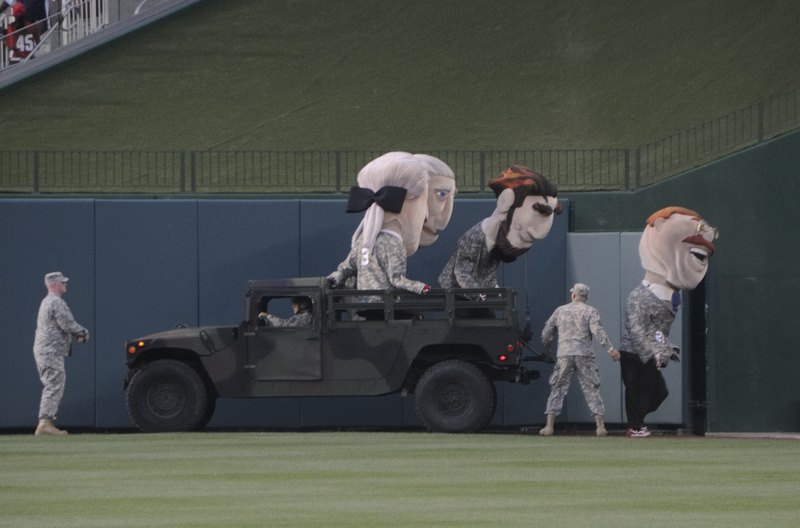 Even the racing presidents showed solidarity, running their 4th-inning course wearing their new patriotic uniforms in single file behind our first president George Washington, who carried an American Flag from wire to wire. 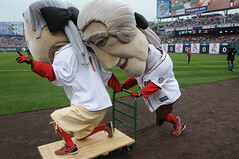 Students of presidents race history know better than to bet against Thomas Jefferson on Independence Day. 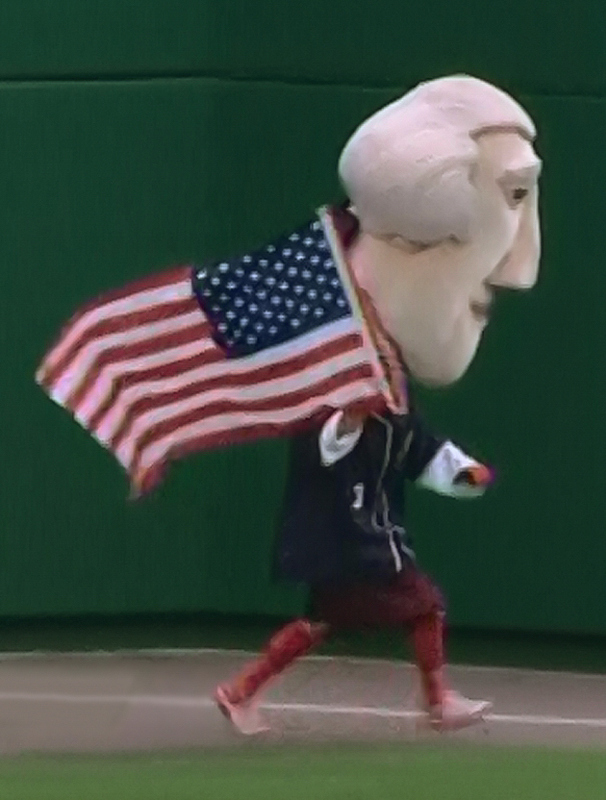 The scribe of our country’s declaration of Independence once again led the race from wire-to-wire, and as he did last year on July 4, carried an American flag the whole way. 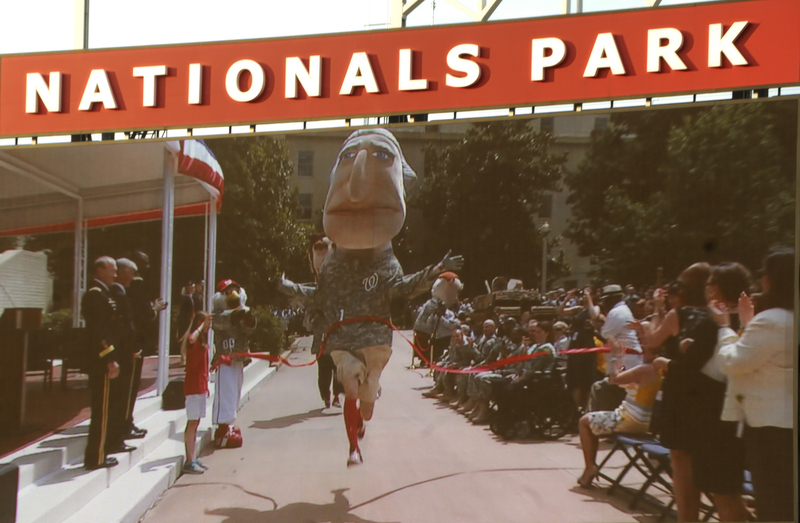 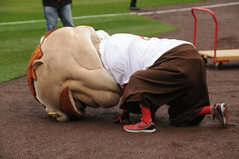 Monday was designated a “Patriotic Day” by the Nationals, and while the associated new uniforms continued to provide good luck for the team, they’ve clearly had no impact on presidents race results. 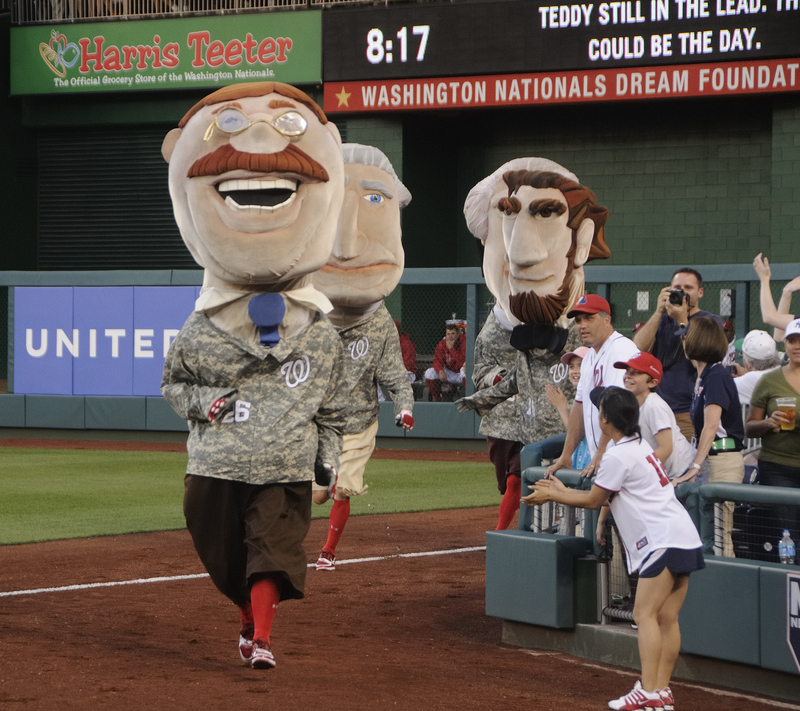 Washington, Lincoln, and Roosevelt declined to provide even a challenge, and in his 400th winless presidents race, Teddy stayed at the very back of the pack from start to finish, wearing a very undersized stars and stripes hat.